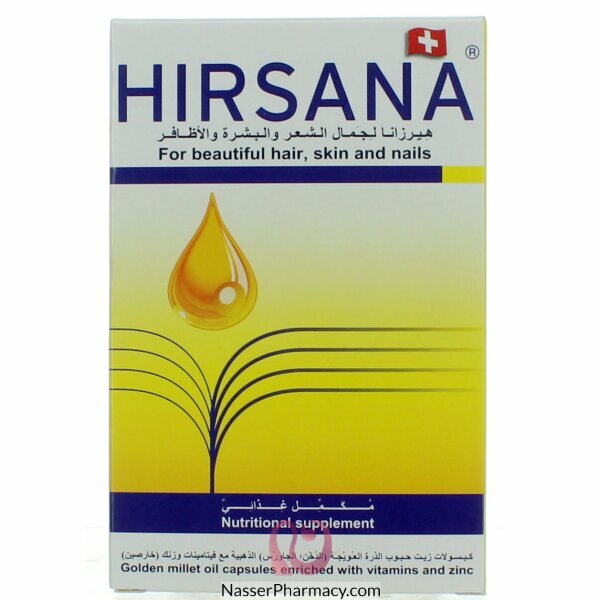 HIRSANA Golden Millet Oil capsules are the highly effective formula for strong hair, radiant skin and firm nails. 200 mg of pure Golden Millet Oil of the highest quality. Vitamin E, Vitamin , Thiamine, Riboflavin, Pantothenic acid, Biotin and Zinc.